I always get excited when I am visiting a restaurant for the first time. 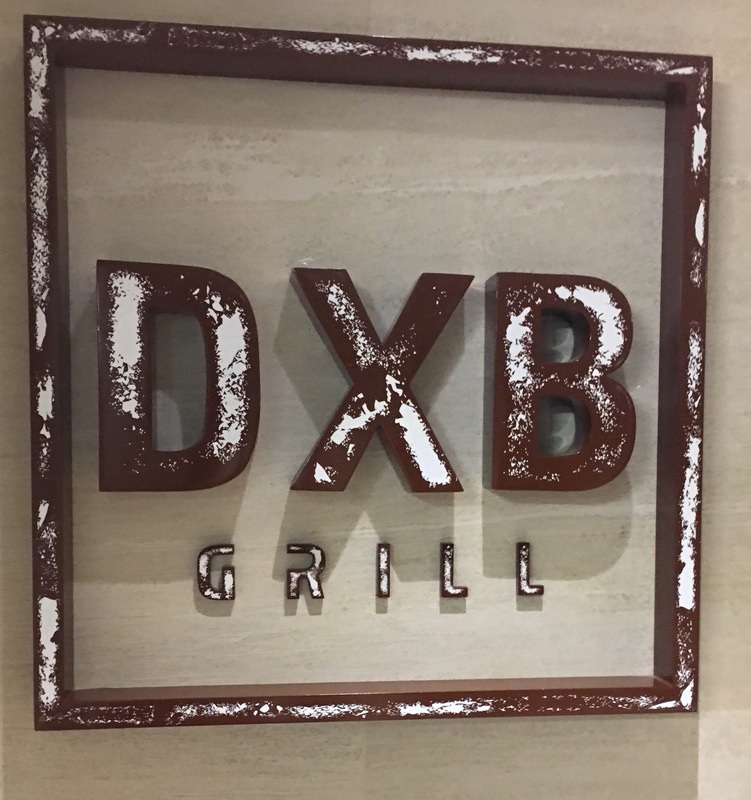 So when I had a dinner date with hubby at a brand new restaurant called DXB Grill last week, I was super excited and didn’t know what to expect from this new venue. Located in the Ground Level of Millennium Airport Hotel, DXB Grill is a restaurant that offers unique concept of flavors under one roof. 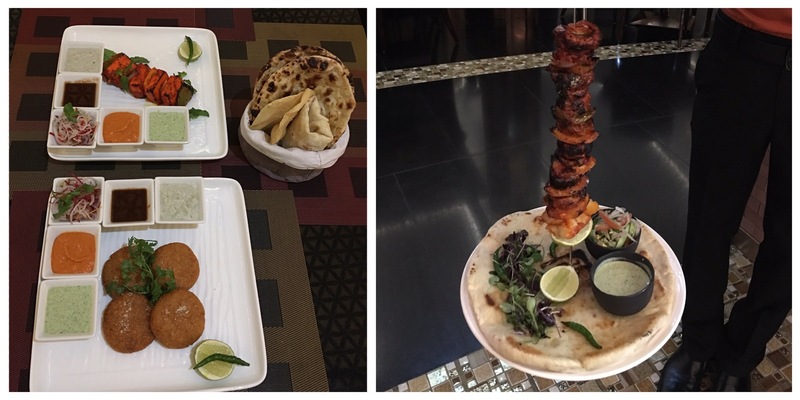 Their menu features steak, grilled meat, seafood and Tandoor. This casual dining restaurant is very spacious. The modern decor of DXB Grill looks classy and elegant. Its a perfect place to dine with family, friends or colleagues. This venue is a great place for date night as well. The restaurant offers an amazing view of their swimming pool. Apart from the well stocked bar, the restaurant also features live cooking station, seafood station and Tandoor kitchen. DXB Grill has an a-la-carte menu as well as a 3-course-dinner set menu. We opted for the a-la-carte menu. This place is a paradise for meat and seafood lovers. They have limited options for vegetarians like me. As soon as we arrived at the restaurant, we were offered a Welcome Drink. It was a raspberry and ginger based mocktail that was refreshing. We also ordered a glass of Red Wine from their extensive beverage menu. 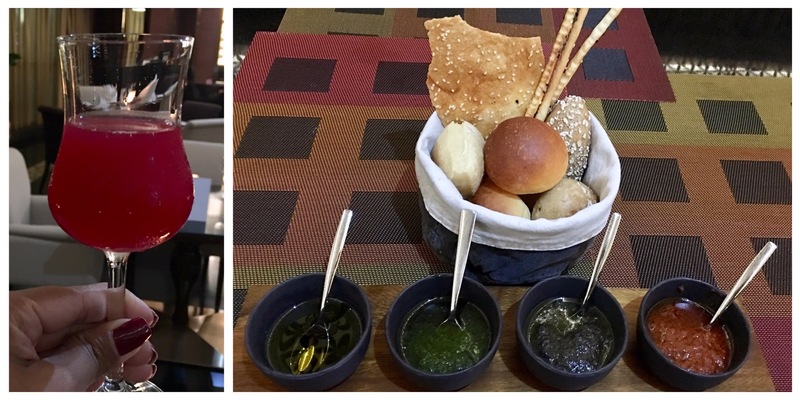 While we were going through their menu, we were served complimentary basket of freshly baked Bread and Dips. Both the bread and the dips were amazing. Italy Pleasure was an Italian salad consisting of buffalo mozzarella, green tomato, plum tomato, rocket leaves with toasted pesto bread. It was tasty and refreshing. From their sushi menu, we ordered Vegetarian Maki which was outstanding. It was one of the best veg sushi we’ve had in Dubai. It packed a delicious punch. Achari Paneer Tikka from their Tandoor had marinated Paneer in mango pickle, yogurt and Indian aromatic spices. The Paneer Tikka was succulent and bursting with delicious flavor. It was served with Indian bread, lacha salad and chutney. Minced potato filled Aloo Tikki was spicy but yummy. This dish is on the heavier side and it can be easily shared between two people. Aloo Tikki was also served with Indian bread, lacha salad and a variety of chutneys. We also tried tried Grilled Mushroom with mint chutney which the chef made especially for us. As a lover of mushroom, I liked it. Chocolate Lava was highly recommended by their staff and we had to order it. 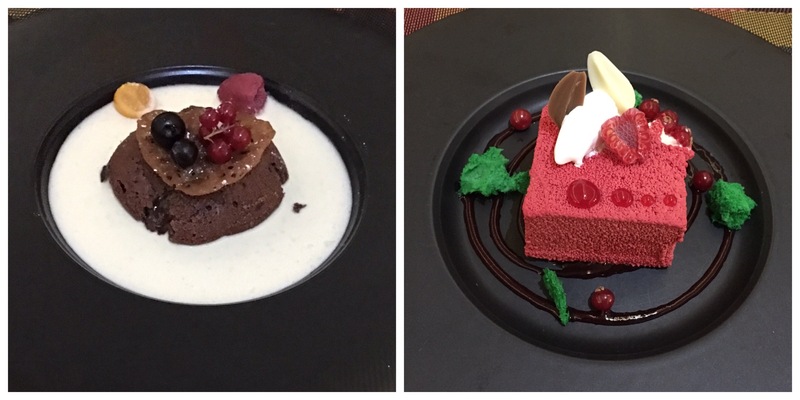 This divine tasting dessert had melted dark chocolate accompanied with passion fruit purée and vanilla bean sauce. Raspberry Vanilla Parfait was the other dessert that we ordered. We didn’t like it much as we found it too creamy and heavy. Overall, we enjoyed our dinner at DXB Grill. The food, the drinks, the service and the ambience was fantastic. Even the presentation was on point.